Manchester is the largest city in North West England and is viewed by many as both the ‘capital’ of the north of England and the UK’s second city. Visitors who haven’t been to Manchester for a while may no longer recognise the city. In the last two decades huge construction projects have transformed the landscape of the world’s first industrial city. Developments include museums, such as the Imperial War Museum North and Urbis, and cultural centres like the Lowry and Bridgewater Hall. In the late 1980s and for a large part of the 1990s the city dominated the UK’s music and cultural scene. Bands like the Happy Mondays, Stone Roses and 808 State and nightclubs such as the Hacienda flew the flag for ‘Madchester’. The impact of this scene on the city was tremendous. The universities became the most popular in the country, and city centre living boomed as old mills were converted into modern apartments. New hotels, bars, nightclubs and restaurants have mushroomed everywhere, transforming the city into arguably the most vibrant in Britain. The Manchester hotel scene has developed a great deal in recent years. The city now offers a good choice of places to stay ranging from 5-star hotels like the Lowry and Radisson Edwardian to cheap 3-star accommodation such as Britannia Sachas and Jurys Inn. In between there are a large number of decent 4-star hotels like the Macdonald Manchester, Arora, Midland, Mint Hotel, Velvet Hotel, and Palace Hotel. Manchester is famous all over the world thanks to its two Premier League football teams. Manchester United play their home fixtures at Old Trafford while Manchester City are based at the Etihad Stadium. Getting tickets for matches can be difficult but both clubs offer tours of their grounds. The Museum of Science and Industry occupies several historic buildings in Castlefield, including the oldest railway station in the world. Exhibits include aircraft, electricity, gas, textiles, public health and sewerage, communications, and Manchester’s scientific achievements. Other major museums and art galleries in Manchester include the Imperial War Museum North at Salford Quays, the Manchester Museum, the People’s History Museum, Manchester Art Gallery, and Whitworth Art Gallery. The National Football Museum at Urbis opened in 2012. The Vue is the biggest and most luxurious cinema in Manchester city centre. Situated within the Printworks complex, it boasts 23 screens including a large IMAX theatre. 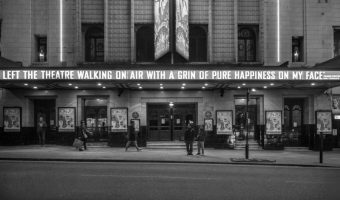 The Odeon at the Great Northern is the other city centre multiplex. Cinemas outside the city centre include the Vue at Salford Quays, the Odeon at the Trafford Centre, Cineworld in Ashton-under-Lyne, and Cineworld in Didsbury. The Trafford Quays Leisure Village offers a number of excellent attractions including the Chill Factore, an indoor ski resort offering skiing and snowboarding sessions and lessons, and Airkix, an indoor skydiving centre. 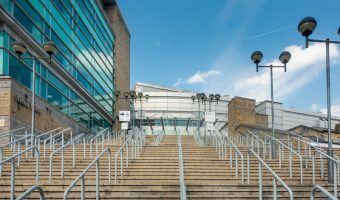 The Manchester Arena is one of the largest and busiest concert venues in the world, regularly playing host to some of the biggest names in music and comedy. Other major music venues in Manchester include the Apollo, Academy, and Bridgewater Hall. Theatres in Manchester include the Opera House, Palace Theatre, Royal Exchange and The Lowry. The main comedy venues are the Frog & Bucket and the Comedy Store at Deansgate Locks. Further information and leaflets for all these tourist attractions and more can be obtained from the Manchester Visitor Information Centre on Piccadilly Plaza. Manchester offers a diverse range of shops and shopping centres with options to suit all tastes and budgets. The Manchester Arndale is a large city centre shopping mall with over 200 stores including large branches of Next and Topshop. A recent revamp Manchester Arndale Market saw the introduction of a food hall offering tasty dishes from all over the world. Exchange Square and New Cathedral Street lie just west of the Manchester Arndale and are home to a number of upmarket stores such as Selfridges and Harvey Nichols. The Triangle, opposite Selfridges, is a shopping centre based in the old Corn & Produce Exchange. The Northern Quarter is known for its vintage clothes boutiques, cool record shops, and Afflecks, while King Street, St Ann’s Square, and The Avenue at Spinningfields are lined with luxury fashion shops. Out of town shopping centres and retail parks include the Trafford Centre, Lowry Outlet Mall, Central Retail Park, the Crown Point North Shopping Park, the Manchester Fort Shopping Park, Snipe Retail Park, the White City Retail Park, and Altrincham Retail Park.